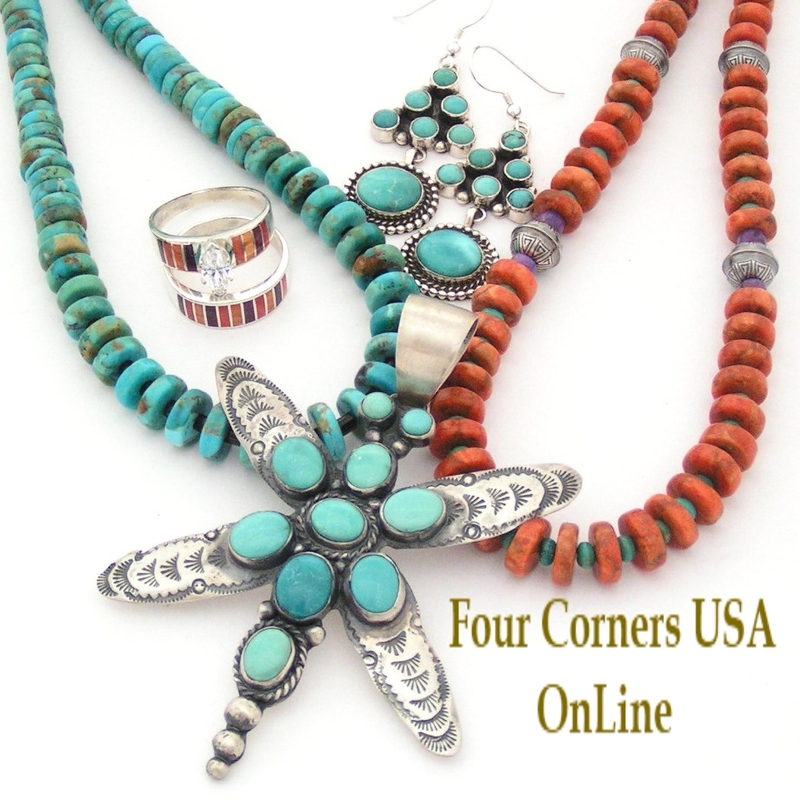 Four Corners USA Jewelry is passionate about American Turquoise and specializes in Kingman Turquoise Bead Jewelry to compliment your Southwest Native American Jewelry Style. 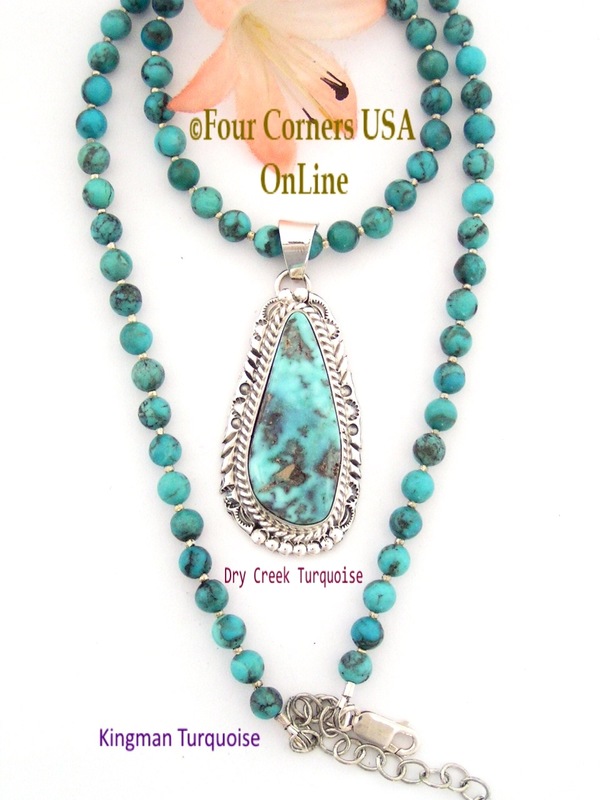 We design and create versatile Turquoise Bead Necklaces and Earrings for both Men and Women that can easily transition from supporting your beautiful bold Native American Pendant to worn alone as its own fashion statement. 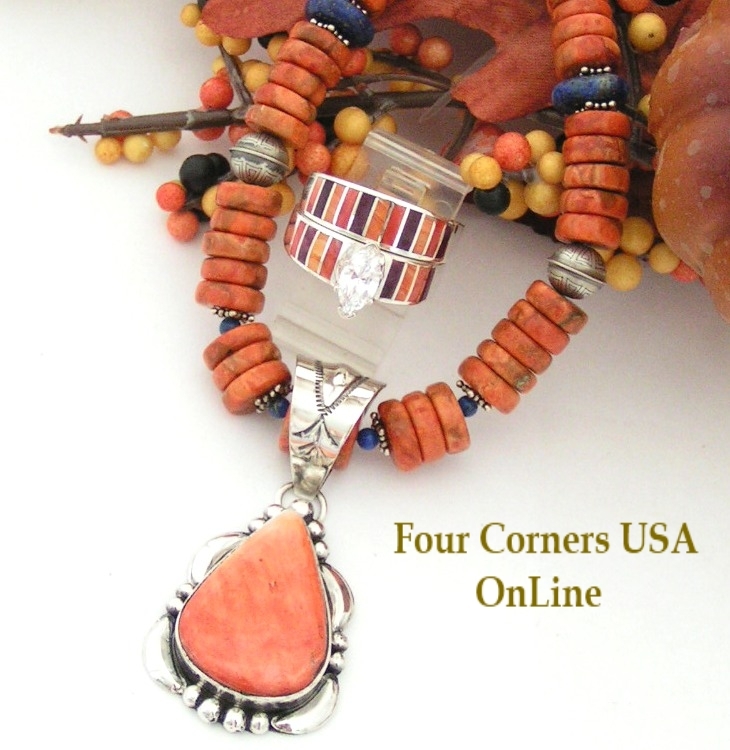 With a vast selection of American Kingman Turquoise Beads on hand creating complimentary Turquoise Bead Jewelry for your Southwest and Native American Pendants is a joy. With such an array of color and tone in Kingman Turquoise, we are able to mix and match Turquoise from various mines for a fabulous look as seen in this Kingman Turquoise Bead Necklace and Carico Turquoise Dragonfly Pendant and the large Dry Creek Turquoise Pendant and Turquoise Bead Necklaces below. The colors of ​Kingman Turquoise are so vast and the slightest variance can make a difference. We carry Kingman Turquoise Jewelry Making Beads that have been mined in different locations throughout the mine over the past 20 years yielding a beautiful assortment of color. 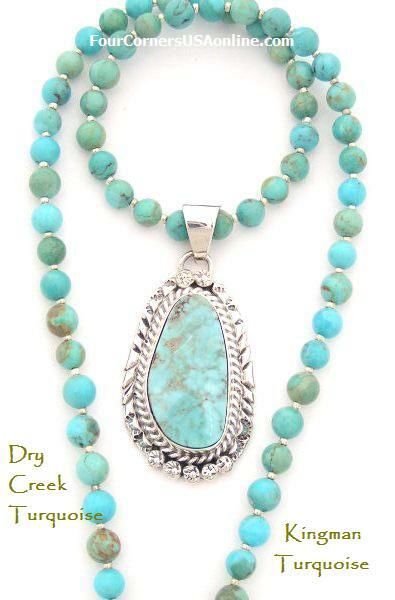 This Dry Creek Turquoise Pendant to the left is created with lighter Blue Green Kingman Turquoise Beads and the image below is Dry Creek Turquoise Pendant with deeper Blue Kingman Turquoise mined in the mid 1990's. 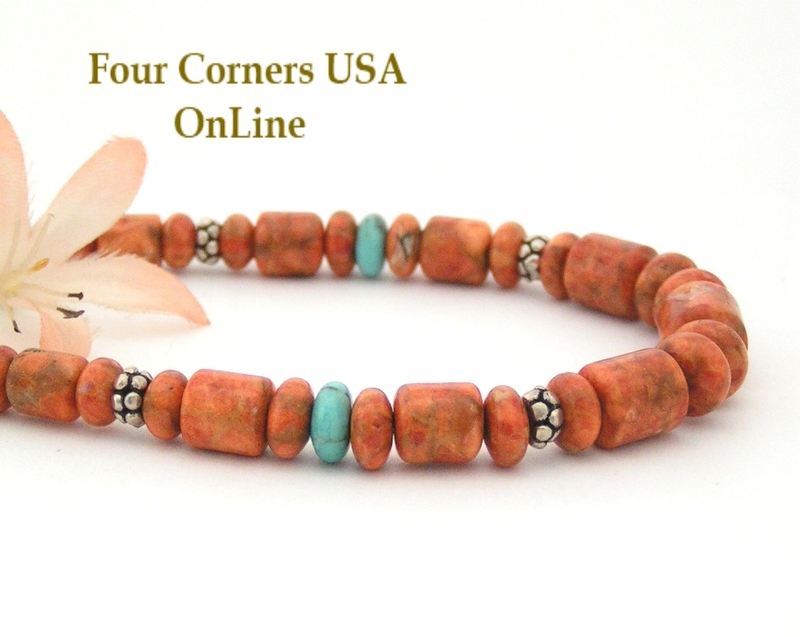 In addition to our collection of Kingman Turquoise Beads which includes Mohave Green emulating Gaspeite and Mohave Purple, Apple Coral is an Organic renewable material to complete the Southwest colors and compliments your Spiny Oyster Jewelry with its orange red coloring.